Share Your DIY Contest Try our new form! 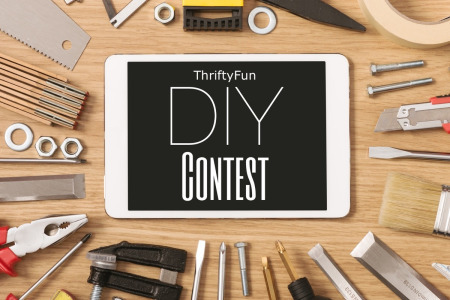 Submit your DIY project to ThriftyFun! You can earn between $5 and $70 for each eligible project we publish! One clear photo is required for us to publish your submission. Photos must be of high resolution and sufficient quality to be considered for publication. At the completion of the contest we award a $50 prize to the best project chosen by our editors. Generated 2019/04/25 17:44:37 in 208 msecs.